Example of a moving carpet, used for bombardier training. 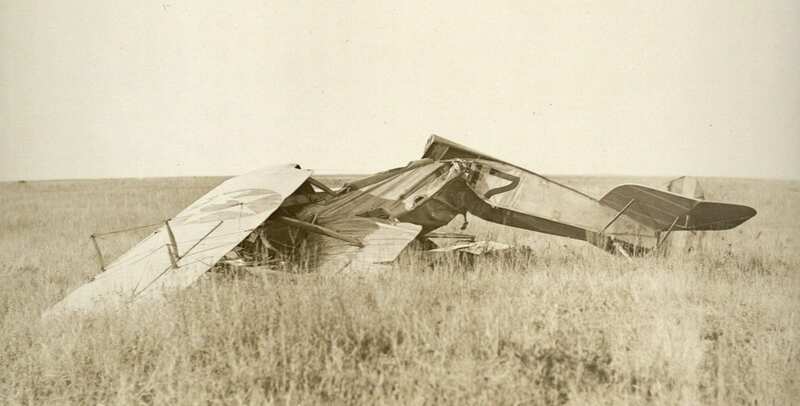 The Ellington Field Photographic collection is one of two new photographic collections obtained by The Texas Collection that focus on World War I. 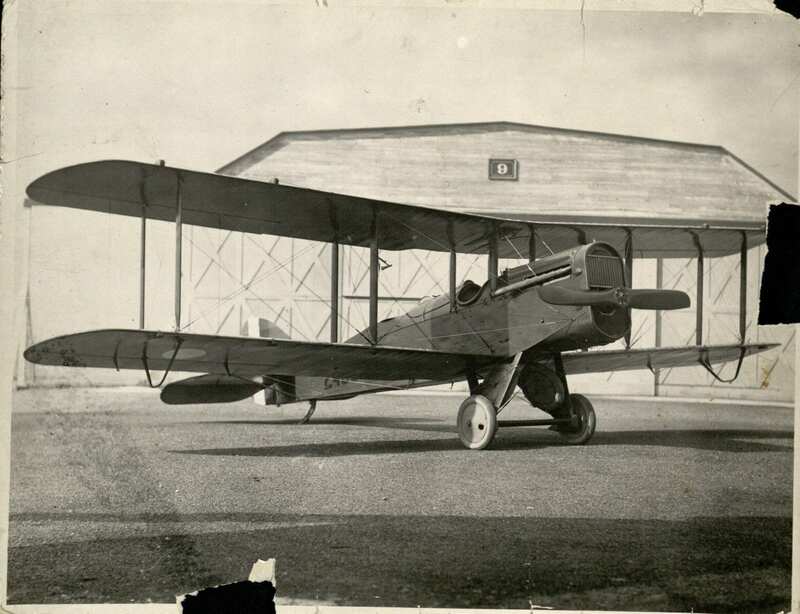 Though currently divided and used for both civil and military purposes, Ellington Field bears a long history of being at the front lines of training for United States aviation services. 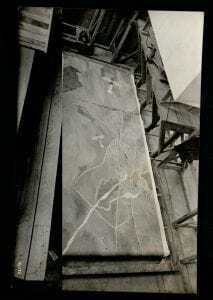 This first image is called a “moving carpet” and was used to train bombardiers for combat. Representing the landscape they would see from their sighting mechanism; these men were trained to recognize geographic features and potential targets. Some images in this collection also show WW1 military bi-planes and parts of their structure such as elevator controls and bomb releases. Photographs of soldiers recording bomb shots and the tools used to take bombing measurements are also included. Other images of military bi-planes consist of planes on the ground and flying in formation. 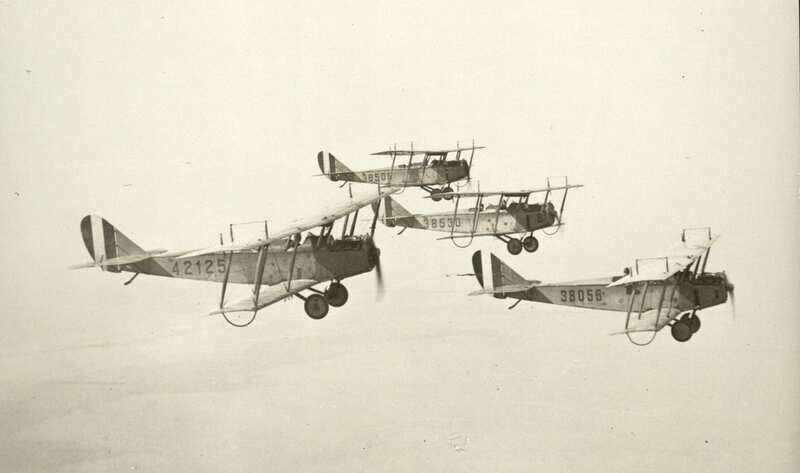 This time, 1917-1920, coincides with the infancy of aerial photography and there are some great photos of formation flying in this collection. A few images focus on the ground and areas around Houston, Texas, but the clear majority are of planes. The bi-plane in this photograph is a De Havilland 4 Bomber taken on January 4, 1919. Tail-spin from 5,000 feet – unhurt. Lt. Platt, pilot. Got up, smoked a cigarette, and wanted to walk away. Taken to hospital and discharged in 24 hours. Accident due to inexperience. 2nd Lt. W.C. Stalker, Pilot. August 30, 1918. Total Wreck. Ship came down in a spin from about 1,000 feet, and hit nose first, driving engine back into the gas tank, and tank back into front seat. Pilot probably was climbing too steep and slipped off into a spin. Seems unable to remember what happened, due probably to blow received when he crashed. One supposes that the images were studied and used as documentation for pilot and plane review. The images from the Ellington Field Photograph collection depict a time of growth and change in the way America approached aerial maneuvers and combat. 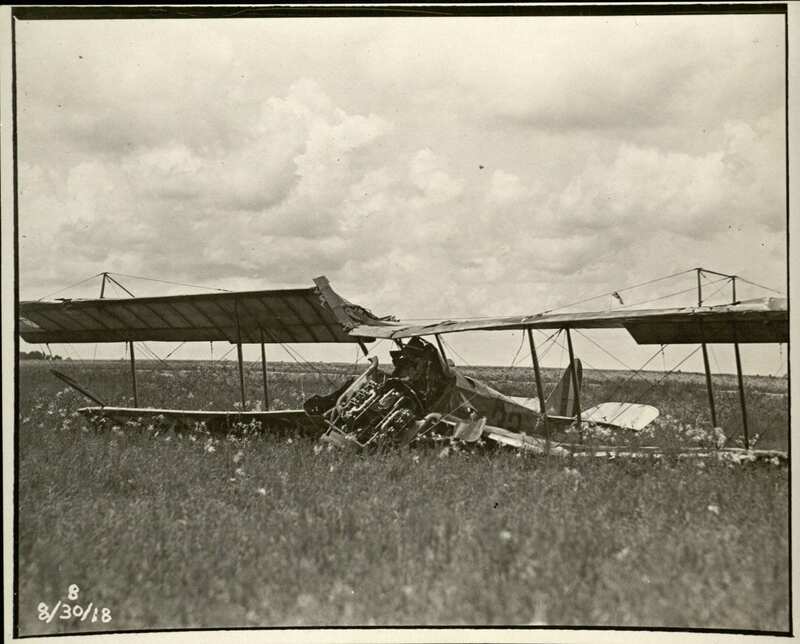 Photos displaying planes, flying formations, pilots, plane crashes and even images of workshops and hangers, come together in this collection and give a representation of what it was like to be a pilot in training during World War I. 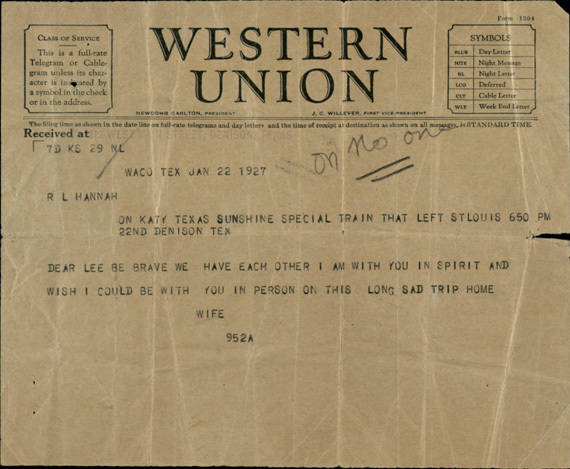 This collection is open for research and those interested in viewing it are encouraged to contact us at txcoll@baylor.edu. 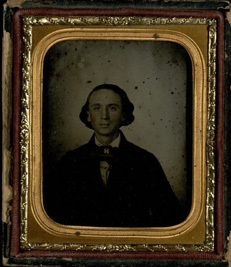 All images in the post can be found in the Ellington Field Photographic collection, Accession #3937, Box 1, Folder 5, The Texas Collection, Baylor University.